- Now Includes Free Transfer Assistance! 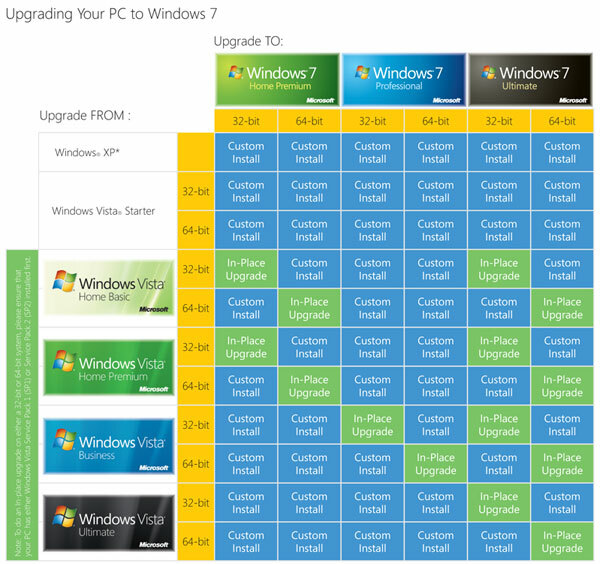 Of the 66 Windows 7 upgrade scenarios detailed by Microsoft, only 14 are supported by Windows. As illustrated in this chart, there is no direct upgrade path from Windows XP to Windows 7 without doing a customized installation – for the many XP users out there, this makes upgrading to Windows 7 a complicated task. That’s why we created Windows 7 Upgrade Assistant: it helps you upgrade your existing PC quickly and easily from any version of Windows (Media Center or later) to Windows 7. If you are upgrading your PC from XP to Windows 7, you need PCmover Windows 7 Upgrade Assistant. Using PCmover to upgrade to Windows 7 is easy. First, run PCmover and follow the easy-to-use wizard. Then, install Windows 7, choosing "custom" install (do not reformat). Then run PCmover again. That's it - you're done. No need to copy files to external media; no need to reinstall all your applications. PCmover does it all for you without any external storage, without copying files, and without old CDs and serial numbers! Important: If you are setting up a NEW PC, drive, partition or deleting your old operating system, you should select a different edition of PCmover here. Do you already own PCmover Windows 7 Upgrade Assistant and need to perform another computer upgrade? To get a new serial number, just purchase a download version of PCmover. You will be emailed a new serial number immediately and you will be ready to do another computer upgrade!A single license of PCmover allows you to upgrade a single existing computer. Additional computer upgrades requires purchasing additional licenses. Install PCmover Windows 7 Upgrade Assistant and run the easy-to-use wizard. Upgrade your computer to Windows 7, then click through the easy-to-use wizard to select the applications, files and users you are keeping. Your computer has the same personality and functionality it did before the upgrade. 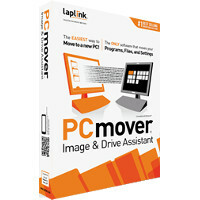 No need to reinstall programs because PCmover did it for you.